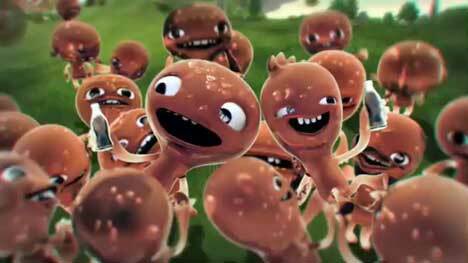 Coca Cola Australia celebrates the cycle of life in this animated TV ad featuring droplets of Coke, released in April 2007. 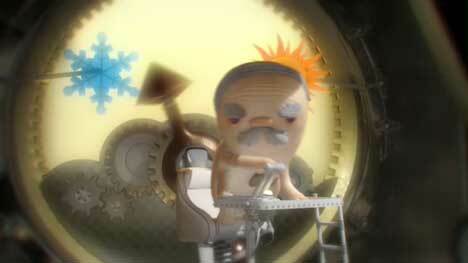 A planet’s climate is controlled by clockwork, oscillating from winter to summer through the flick of a switch. As poles turn from ice and snow to sun, grass and surf, droplets of coke come out to play. Two droplets have the brilliant idea of keeping summer going forever by sticking a Coke bottle in the clockwork. The Endless Summer campaign was developed at Singleton Ogilvy & Mather, Sydney by creative directors Boris Garelja and Raj Rabindranath, art director Liam Hillier, copywriter Dominic McCormack and producer Monique Pardavi. Animation was done at Monkeylab, Sydney, by director/designer Octavio De Lellis, designer Jeremy Dower, art director Emilie Boyard, 3D Supervisor Serge Kovalenko, 3D artists Thai Bach, Mike Feil, Paul Jakovich, Justin Miller, Pete O’Neill, Greg Petchkovsky, Nino Thephavong, Scott Tansley, Geoff Valent, Nigel Waddington, compositors Ian Douglass, Daniel Loui, and Tahl Niran. Thanks to Brentter, and No Fat Clips (list of quicktime sources). Coca Cola Australia provides a screensaver and wallpaper using imagery from the TV ad.